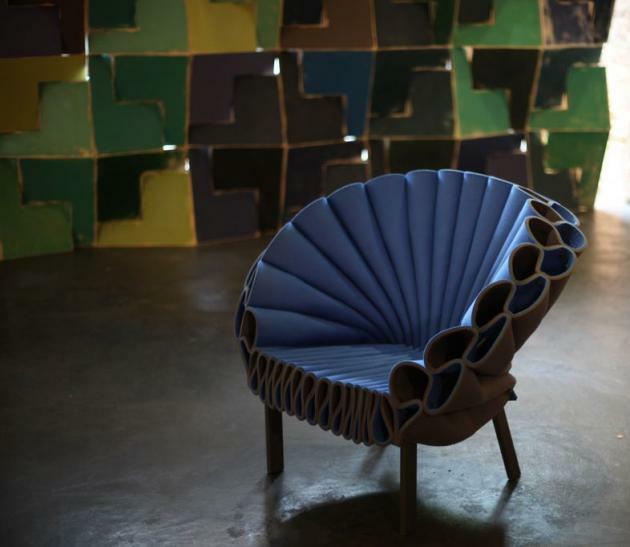 Tel Aviv born and now New York based up-and-coming designer Dror Benshetrit, recently launched his latest conception: QuaDror at the annual Design Indaba (DI) Conference that took place in South Africa a few weeks ago. Benshetrit, who can also add the Netherlands to his list of inhabited places, studied his craft at the Design Academy Eindhoven. His latest invention, QuaDror appears quite uninvolved at first glance: a simple, toy-like, Lego semblance--that is until he demonstrates how he can apply the origami like compositions into innovative furniture designs, as well as cleverly reinforced architectural structures. When asked about the driving inspirational force behind his work's aesthetics at the DI conference, he described his driving vision as such, "I see transformation as the key word behind my work." Dror Benshetrit likes to take a single geometrical framework and employ the same exact figure into a variation of frames: be it a table, a wall division or even a bridge. This new development by the young designer doesn't fall very far from the The Peacock Chair tree--his previous concept designed for Cappellini (Milan based prominent design firm)--which also calls to mind a manifolded shape made into furniture (see below). With QuaDror, Behshetrit also expressed his enthusiasm to collaborate making effective designs to accommodate not only the those with luxurious taste, but also those who live within underprivileged conditions. In 2009, Dror Benshetrit also created a line for Target, which consisted of bedding, shelving and stationary collections. Have a watch at his brief interview via DITV at the DI Conference, plus Benshetrit himself demonstrating the launch of QuaDor.